The picturesque city of Cape Town, nestled between the popular Table Mountain and playful ripples of Atlantic Ocean offers a wide array of dining choices to all its visitors. Restaurants in Cape Town are known for extensive range of locally caught fresh seafood, variety of delicious juicy fruits and fine wines. Cuisines served here are meant to cater to all types of taste preferences. A trip toCape Townis incomplete without experiencing the fine dining on offer at restaurants in Cape Town! The fine dining destinations in Cape Town serve both seafood and matured fresh meats laced with authentic South African spices and herbs. You can also taste fresh vegetables and delicious fruits over a choice of fine quality wines. There are many wineries based locally inCape Townand they serve excellent, world class wines. Service and ambience comes second to none at the finest of Restaurants in Cape Town. You will never feel left alone or fumble upon the menu while deciding what to order. The enthusiastic and friendly serving staffs will suggest the best palates to treat your taste buds as you express your cravings! Restaurants in Cape Town have every choice from grand dining places to small comfy eat-out zones to fit in all tastes and preferences of the guests. The moment you step into the dining cafes and restaurants, you become a person of high esteem and privilege. You can never find such class, quality and warmth anywhere else except the Restaurants in Cape Town. Cape Town is no doubt one of the most stunning and plush cities on the planet; but the city has more than just beaches and picturesque panorama for its guests. Owing to its mixed cultures and ethnicities, Restaurants in Cape Town feature several culinary trends that all foodies would love to experience. The Africa Café is an ideal destination for people looking forward to taste traditional recipes from the kitchens of Africa sitting in the city of Cape Town. The café specializes in lip-smacking recipes from Ethiopia to South Africa. The simple menu features handpicked dishes that suits the taste of all diners. Apart from 16 appetizers, their signature dishes include ‘Cape Malay Dhal Curry’, ‘Malawi Mbatata Balls’ and ‘Basboussa’. The list of wines is quite extensive; however the best tasting cocktail is ‘Casablanca’, a blend of white rum, coconut milk and rose water! 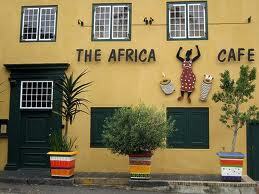 Great food and touristy ambience are the best things about the Africa Café. Food served at a sophisticated and serene ambience certainly adds an extra edge to the fine dining experience. Aubergine, located at the heritage gardens, Cape Town offers aesthetically pleasant setting and wide assortment of quality food and wines to its diners. They are especially known for the innovative combination of ingredients. 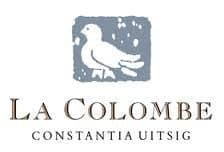 If you have always been an admirer of French delicacies, La Colombe, Cape Town is one of the finest destinations to visit. 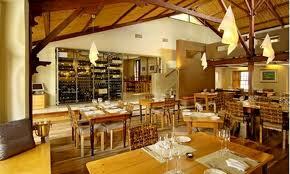 Located in the picturesque Constantia winelands, the restaurant offers unique and daily changing French inspired menu and variety of quality wines. winter food deals in cape town, winter specials in cape town | A … – Contact Me Wondering where the lions are? At this little-known African game reserve, you’re almost guaranteed to see the Big Five By Sandra MacGregor, Ottawa Citizen Plettenberg Bay, South Africa: where locals go to play When Cape Town’s inhabitants want to escape the city, many head for Plettenberg Bay.